One of the fun things about Over the Air is that it’s an overnight event. Bring your tent, sleeping bag and toothbrush along, and you can set up camp on the lawns of Bletchley Park or find a cosy corner of the Marquis tent, which will be filled with bean bags to curl up on when you’re done hacking, watching movies and playing Werewolf! Milton Keynes Bed & Breakfast – £? Another key features of Over the Air is the in-event competition, which gives you a chance to show off the clever and fun ideas you’ve been coding and hacking away at over the course of the event. We’ve had some really great entries over the years, and hope to hear plenty of stories of how they were developed further after the event (in which case we’ll link to them for you). We will be making some changes to how we run the Hack-a-thon this year in response to all of your good suggestions, and our experiences from past years. We’ll get all of that updated here, and post about it as well when we get that far. We have worked hard in past years (with the help of Imperial College ICT) to ensure that Over the Air has great connectivity. 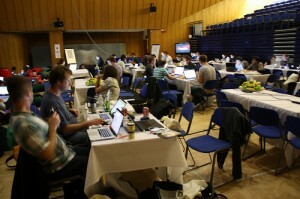 The event at Bletchley Park will be no different – with mainly Wireless connectivity, but there may be a little bit of wired connectivity too. As soon as we have details about this years coverage, we will be posting them here. Thanks to the financial support of our lovely sponsors, we have always been able to fully cover the cost of organising Over the Air. This year we are introducing a small 5 pound donation to the Bletchley Park Trust as part of the registration process – a tiny cost for us, but with 500+ attendees expected it’s a nice little sum towards the repair and upkeep of the Park. (And of course you are welcome to donate more, if you feel inspired by the Bletchley Park story). If everyone who attends gives £10 or more we could make a significant contribution towards the roof repair of Hut 12, where the ‘From Bletchley Park, with Love‘ exhibit is housed ( Ian Fleming and Real Spies, Double Agents and Bletchley Park). Bletchley Park have kindly offered to give an annual season pass to all attendees who donate £12 or more. Registration has opened and tickets are going fast! We’re excited to announce that Diana Cheng will lead a session on the OneSocialWeb project. OneSocialWeb is an open source project, sponsored by Vodafone Group R&D, that aims to create a distributed social network infrastructure on top of the XMPP protocol. OneSocialWeb has been covered in TechCrunch and Wired as one of the vanguard of projects working to open up social networking. Developers attending the session will be given access to a beta server to build prototypes against. Diana Cheng is a software developer currently based in Vodafone R&D where she is working to revolutionize the social networking paradigm. Her background is in computer science and software engineering and she holds a Masters degree from the University of Aachen, Germany. We’re excited to announce that Aral Balkan will be delivering a Keynote talk at Over the Air on the morning of Friday, September 10th. Have you ever had a bad user experience? Did it make you feel angry? Frustrated? Absolutely livid? Good. Understanding that the experiences we create can have a negative emotional impact on people’s lives is a very important prerequisite to creating positive emotional experiences that engage with users to add delight and pleasure to their lives. In this inspirational session, Aral will offer you an impassioned glimpse into his approach of authoring apps that go beyond usable. Apps that people find joyful and fun. Apps that people fall in love with. Empathy, character, voice, beauty, and play are just some of the topics that will be covered and illustrated with examples from Aral’s decade-long experience in authoring web, Flash, desktop, and mobile apps, including his latest top-selling iPhone app, Feathers. 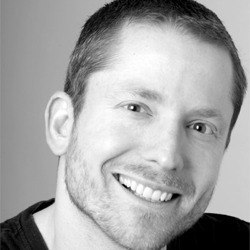 Aral Balkan is an interaction designer and developer with over a decade of experience. He aims to author empathetic apps that create joy and delight and to inspire and teach others to do the same. His latest iPhone app, Feathers, was featured by Apple as New and Notable, What’s Hot, and a Staff Pick. It is often cited as an example of beautiful, emotional design. Aral shares his experiences, frustrations, and joys on his blog (aralbalkan.com) and in his tweets (@aral). Nokia’s Tim Brooke will be delivering a session at Over the Air on “Rapid Mobile Prototyping with Flowella,” a tool that makes it extremely easy for interface designers and developers to create working interactive flows that run on mobile phones. This allows for rapid iterations, improvement and better crafting of interfaces. No programming is required. It’s an entirely visual tool that fits well with current workflows. Developers can use Flowella to rapidly create a framework for an application that can subsequently be build upon using development tools for AJAX, QML or Flash. 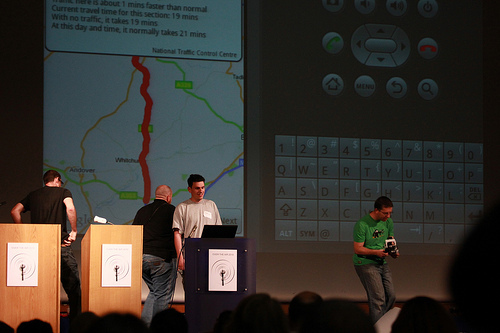 Because anyone can see a working prototype running on a mobile phone it’s a great tool for communication. Your idea for an app can be quickly built and demonstrated. In this workshop, Tim will be demonstrating how to use Flowella to design and build an interactive flow, getting the flows running on mobile phones too. No need for programming just point, click and drag to create your working demo. The software is freely available from the internet: http://www.forum.nokia.com/flowella. Tim has worked on a diverse range of projects from multiuser museum exhibits and robotic warehouses for British Airways to self-organising wireless networks in vineyards. He currently works in Nokia Design’s London studio, building prototype mobile devices from anything that comes to hand – Adobe Flash, Java, bits of electronics, doubled sided sticky tape, even Post-It notes. He values “learning through building” and believes that there’s nothing like a working prototype to explain, explore and evaluate ideas. One of our themes for this year’s event will be open data and open APIs and the possibilities they provide for developers to build great things! That’s why we’re excited that the Guardian are coming along to present a session on the use of their APIs. Michael’s talk will start with the following question: apart from the data blog with tons of free data tables, the World Government Data store telling us where to find open government data, the COINS database, and full fat RSS feeds what have the Guardian ever done for us? Well yes obviously the content api… the content api goes without saying. 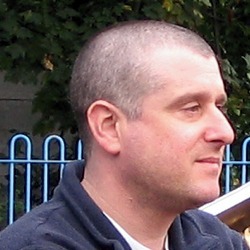 Michael Brunton-Spall is the Developer Advocate for the Guardian newspaper. An experienced developer who has scaled and built the Guardian website with the development team over the last 3 years, Michael programs in several languages, but currently is enjoying using python for most of his day to day work. Continuing our tradition of covering the cutting edge, we’re happy to announce that Vladimir Levantovsky from Monotype Imaging will be speaking on the emerging technology of fonts and typography on the Web. For many years, Web authors and mobile application developers have been limited in their creative and typographic freedom by very limited selection of resident fonts installed on a mobile device or supplied by a platform or a browser. The days when we are limited to a restrictive choice of system fonts are almost over, thanks to the recent activities at W3C WebFonts WG that developed Web Open Font Format (WOFF) and ever increasing web fonts service offerings. In this presentation, we will discuss “what the font” WOFF is, and, may be even more important, what it is not. A brief overview of the WOFF file format will be accompanied by the real-life use case examples where we’ll review the usage of WOFF extended metadata and private data blocks. The presentation will be followed by a short Q&A session where we would explore the opportunities for using web fonts (and downloadable fonts in general) in mobile applications. 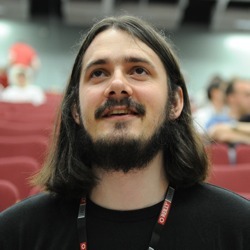 Vladimir Levantovsky is a senior technology strategist at Monotype Imaging Inc. and also serves as a chair of the W3C WebFonts Working Group and a chair of the ISO SC29/WG11 ad-hoc group on font format representation. Vlad is passionate about advancing typographic capabilities on CE and mobile devices and on the Web, and has been an active contributor to the development of various technology platforms, including hardware-accelerated vector graphics (OpenVG), Java ME profiles for mobile devices (JSR-271 and JSR-287), DVB Multimedia Home Platform, OMA Rich Media Environment and core font technology standardization at ISO/IEC. 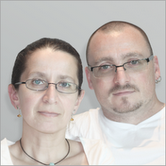 We are pleased to announce Stephanie and Bryan Rieger of Yiibu will present two sessions at Over The Air this year. They will share their experience in supporting as many mobile devices as possible with one Mobile Web code-base, and discuss the Digital Divide. 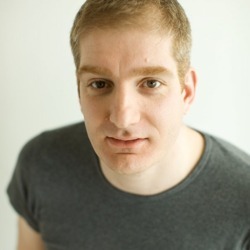 Bryan is a designer, writer and reluctant developer with a background in theatre design and classical animation. 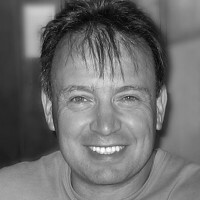 Bryan has worked across various media including print, broadcast, web and mobile, and with clients such as Apple, Microsoft, Nokia and the Symbian Foundation. Most days, Bryan can be found designing and prototyping a diverse range of experiences, and every once in a while, he can also be found organising a Mobile Design UK event in London. Stephanie is a designer and closet anthropologist with a passion for the many ways people interact with technology. With a diverse background, Stephanie’s expertise lies in marrying design, technology and business goals to craft simple, elegant experiences. A compulsive researcher, Stephanie is always keen to discover and share insights on the mobile web and mobility trends in emerging economies. 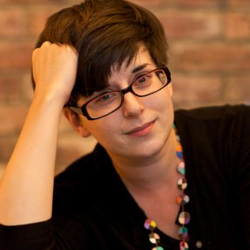 We’re pleased to announce that Alexandra Deschamps-Sonsino, CEO of Tinker London, will present a session at Over the Air. 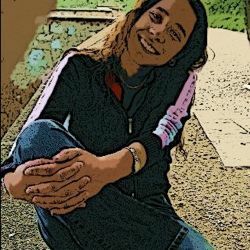 Alexandra will talk about interaction design and the emerging “Internet of Things” and will hopefully show us some of the great stuff she’s been working on.